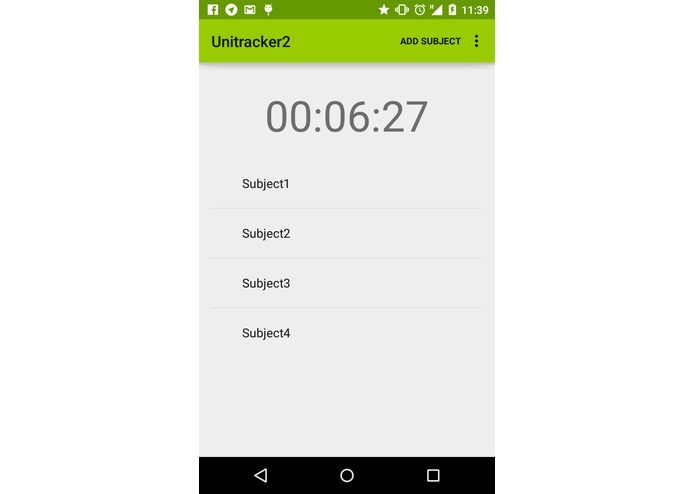 This project emerged from a lack to track our study time in the university subjects. As we are a beginners in the world of Android development we focus on create a simple and a beauty app. 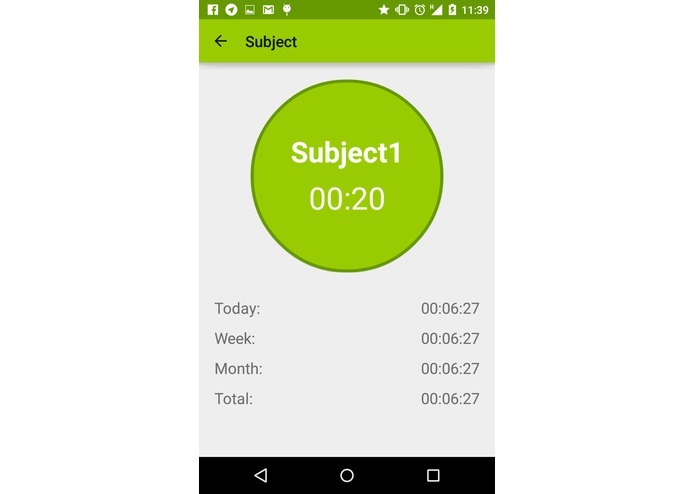 The first goal is to make the app easy to use and provide some interesting information, like the time you time spent per day in all the subjects or the time you studied in one subject per day/week/month. With this application we learned some basic Android development.